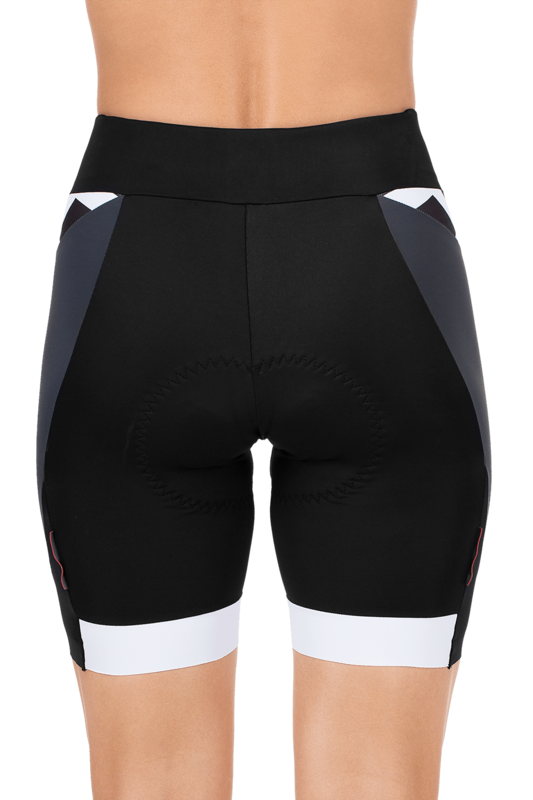 The CUBE Blackline WLS Shorts (with shortened legs) are our performance choice for long, comfortable days on the bike. The durable and quick-drying material is cut specifically for women and the CUBE Team Pad (made in Italy) is a guarantee of comfort even over long periods in the saddle. The elasticated silicone hems keep the pant legs from hiking up and the reflective elements provide a bit of extra safety in street traffic.